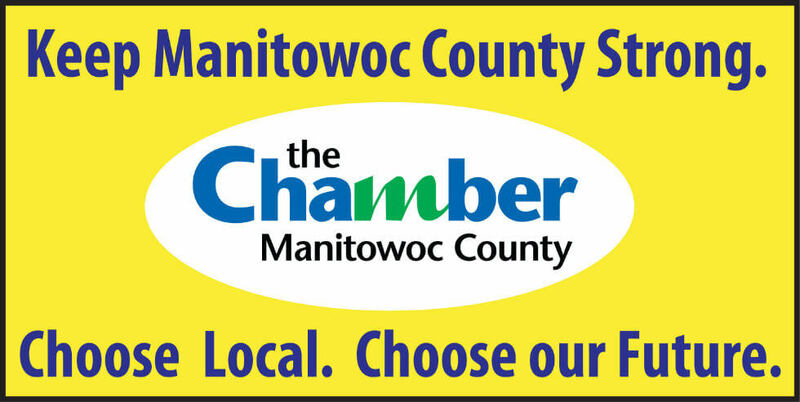 Your source for everything you need to shop locally in Manitowoc County. Coupons & Hot Deals, Chamber Bucks information, Chamber Advantage Card offers & discounts – your Shop Local headquarters! 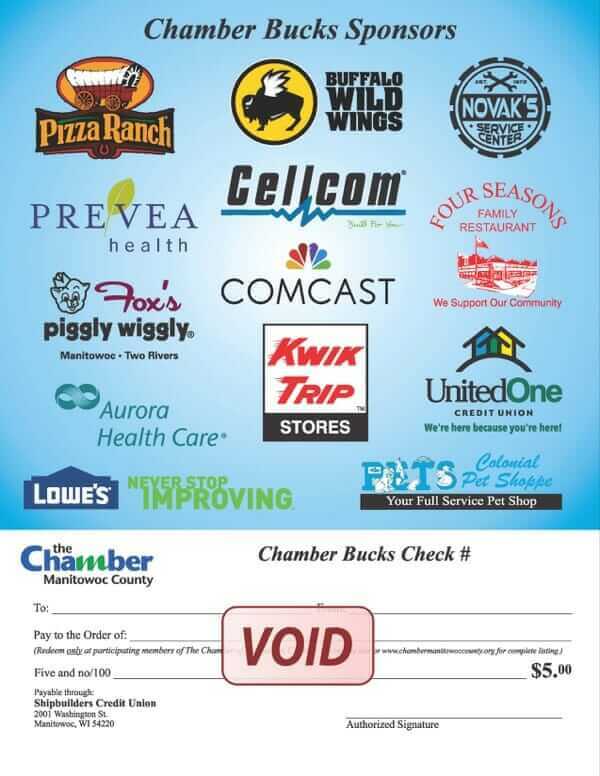 Which Businesses accept Chamber Bucks? Where can you buy Chamber Bucks? 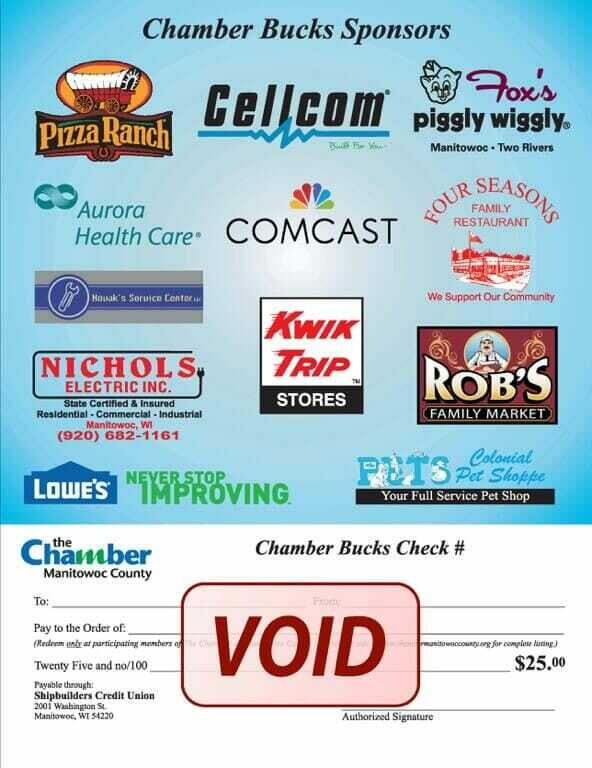 The Chamber of Manitowoc County Chamber Bucks are simple to order and make a ideal gift for weddings, retirements, graduations, birthdays, holidays, employee bonus/incentives, thank you’s, a job well done, etc. Chamber Bucks are used just like a check or cash. Redeemable at over 240 locations. From restaurants to entertainment; office supplies to furniture; gasoline to automobile repair; and retail stores to specialty shops. Chamber Bucks offers you a truly unique gift. This means the dollars stay right here in our communities and supports local businesses. 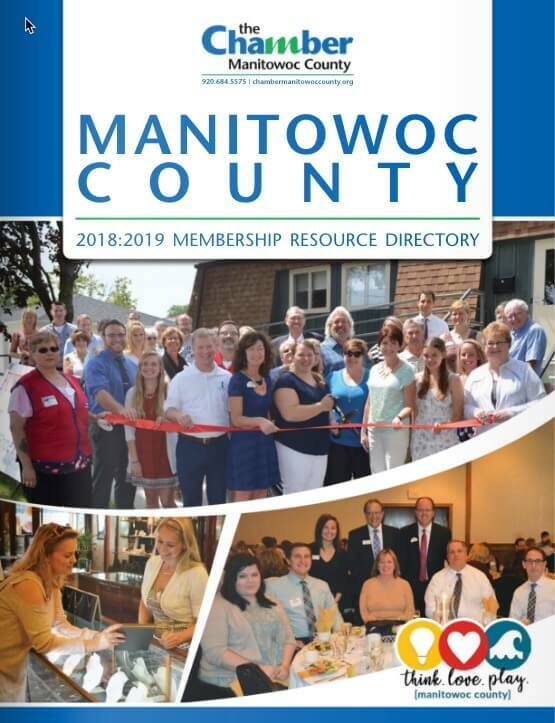 With over 510 member-businesses, The Chamber of Manitowoc County is certain to be able to help you locate the business or service you are looking for. View our online Business Directory to find a local business today! Hungry? Manitowoc County offers many choices for you to satisfy your tastebuds! Lighthouse Inn on the Lake, Inc. The Chamber Savings Card features discounts offered by participating Chamber members to the 20,000 employees of Chamber member companies. When members present the card at participating businesses, they receive valuable discounts and spend their money locally. Click Here to view the 2019 Advantage Card Offers.